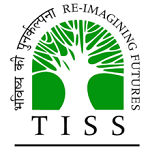 Applications are invited by Tata Institute of Social Sciences (TISS) for the post of Jr. Office Assistant Post in TISS, Maharashtra. Eligible candidates may apply and submit the application on or before 20 Apr 2019. Compensation: Rs.15,000 to Rs.20,000 per month. Selection Process: On the basis of Interview.